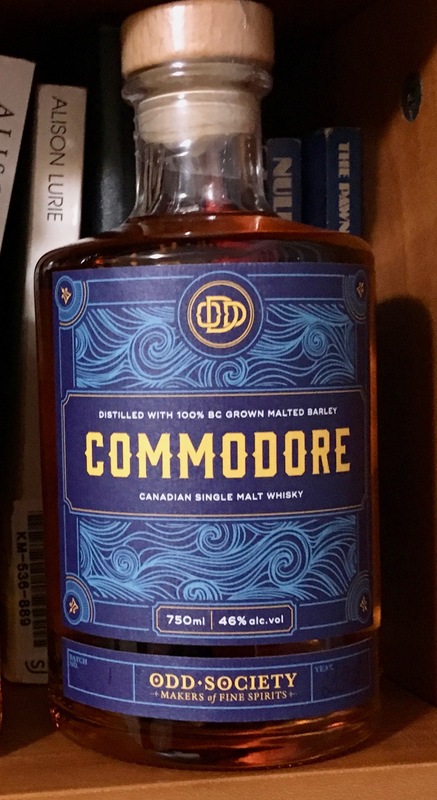 The Odd Society over on the mainland, in Vancouver, makes extremely good and intriguing spirits, and with snow on the ground and wind howling, knocking power out through treefalls in various locales, I decided that a little tot of single-malt whiskey on the rocks would not be amiss. In a way, I wish I still smoked a pipe (though since I quit I do get thank-you notes from my sinuses from time to time) and had a fireplace with a birch-log fire ablaze. I hope your Saturday afternoon is as pleasant as mine. hen Vice Adm. Joseph Aucoin was elevated to lead the vaunted 7th Fleet in 2015, he expected it to be the pinnacle of his nearly four-decade Navy career. The fleet was the largest and most powerful in the world, and its role as one of America’s great protectors had new urgency. China was expanding into disputed waters. And Kim Jong-un was testing ballistic missiles in North Korea. Two three-star admirals told ProPublica they had explicitly notified superiors of the growing dangers. The two people who served successive terms as undersecretary of the Navy, the No. 2 position in the civilian command, said they had, too. They produced memos, reports and contemporaneous notes capturing their warnings and the silence or indifference with which they were met. Now, frustrated by what they regard as the Navy and Pentagon’s papering over of their culpability for the twin tragedies, these officials and others have broken with Navy custom and are speaking candidly, naming names and raising concern that the Navy could well repeat its mistakes. . . This is the sort of thing that happens when you cut taxes, depriving government of the resources needed for its mission. I quite readily blame the GOP for this. In Sims’ case, the victim’s hypnosis was not publicly revealed until . . .
Barista milk is rich in . . .
Not only have battle lines been drawn, apparently the battle has begun. I’m against Nancy on this one, regardless of whatever deal the Dems have struck with the medical industry (nurses, doctors, hospitals, pharmaceutical companies—Democrats are to represent the interests of the public against those arrayed powers. It is supposed to be the Democratic party representing and defending the interests of the patients. Democrats are supposed to be serving the public: public servants. But I see many who are serving their own interests, not the interests of the public. Well, just look at Trump’s cabinet: industry lobbyists in charge of departments whose duties include regulating that very industry. I know how AOC would stand on this, and I’m pretty sure I can guess from certain subtle clues she’s dropped how Nancy Pelosi stands. Ocasio-Cortez, at a press conference unveiling the resolution, was asked repeatedly about Pelosi’s dig, but . . . This indicates that corporations and the wealthy maintain a firm grip on the US government and can easily bend it to their will. We really need more like AOC in Congress, who clearly are willing to fight for the public good against entrenched power. Many more, and soon. Primus concluded his presentation with a bullet point that summarized Pelosi’s mission on health care: “Lower your health care costs and prescription drug prices.” . . .
[another slide show – LG] . . .
Continue reading. There’s much more. I can see why people feel powerless: Corporations and politicians divvy up the power and the loot. The public is the mine.